Do you think our society and children are lost in technology, endless “to do” activities, and low-road behaviors that limit human potential? Perhaps we have been neglecting our core self that yearns for peace of mind, happiness, harmonious relationships, and inner growth. We may be temporarily lost in “doing” if we don’t have enough time and are stressed out, concerned about our health, experiencing relationship conflicts, feeling bewildered, or wondering about the meaning of life. Practical neuroscience insights and ideas help us navigate a balance between doing and being, thus living a higher quality and purpose driven life. “Being,” on the other hand, is a bit deeper and more philosophical. It has to do with “who you are,” “why you are here” and “how you can best live the life you have been gifted with.” “Being” involves your state of mind (e.g. positive or negative), your values and beliefs, and how you want to treat yourself and others. There is a huge spectrum of choices ranging from “high-road being” (e.g. grateful, kind, caring, loving, empathetic, patient, forgiving, respectful, helpful, cooperative) and “low-road being” (e.g. mean, abusive, dictatorial, judgmental, opinionated, angry, disrespectful, righteous, competitive, narcissistic). “Being” is a choice. 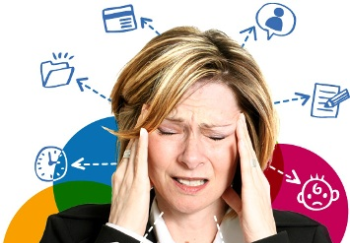 You decide which high-road behaviors you will consistently exhibit on a 24/7 basis. Making a conscious choice of how you want to live your life, and influence others, requires courage. Most people start with the “doing” component; this is a dead-end street. Begin with the foundational and contextual “being” side of life. Decide on one or two central themes for “how you want to be.” Think of what legacy you want to create; imagine what you want people to say about you when you are no longer here. Be realistic and select the highest values and behaviors you can sustain each and every day. Pick those that resonate strongly with you, do no harm, and serve yourself and others. Try them for a week or two, then experiment with new states of being to replace choices that didn’t feel quite right and were difficult to sustain. Let feedback from your inner self and others guide your choices. You will find this process fun and fulfilling. In summary, “being” defines “who you are,” and not “what you do.” “Being” is the tapestry, territory and landscape in which you live, work, relate, learn and grow. The ideal combination is to be the best person you are capable of being, and superimpose the things (doing) you need to accomplish to navigate life; this provides flow, beauty and elegance to living life to the fullest. Were the ideas about “doing” and “being” interesting and thought provoking? A fun way to continue your journey of self development is discovering how your brain is wired for success. 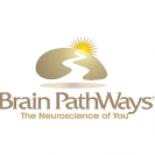 Your personalized Brain PathWays report gives you practical neuroscience tools, based on your brain strengths to “be the best you can be.” Your report will help you with the “doing” and “being” qualities of your life. The on-line process takes less than 15 minutes, the results last a life time. Click to purchase your Brain PathWays online self-assessment and download your report today. Sounds a bit like ping pong balls and rice to me. The ping pong balls being the essential states of being. The grains of rice representing all the things we must do to Navigate through life. We have a jar ( life ) that will accomodate both,however,when we put the rice in first the ping pong balls don’t fit ! They stick out the top and roll off. When we place the ping pong balls ( Essential states of being ) in the jar first, The grains of rice fall into place just right around the balls. Not overfilling the jar ( our life ) but taking up just the right amount of space. Great metaphor, Ben. Love it and hope many people read it. Thank you very much for your comment and contribution. This entry was posted on January 15, 2013 by brainpathways in Uncategorized and tagged brainpower, life, life change, neuroscience, Practical Neuroscience, Self-Help.